Residential stair lifts offer freedom and independence to people struggling with mobility issues. 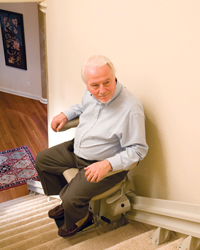 Seniors who have trouble climbing stairs benefit from stair lifts, which eliminate the need to climb stairs. People living in older homes may worry that their homes in not compatible with a stair lift because the stair lifts attaches to a wall that runs along stairs that are too old to support a stair lift. You don’t have to worry because the stair lift is not attached to a wall, but to a rail that runs above and alongside the stair. The rail can be attached to hardwood, carpeted or concrete steps that are compatible with most homes. If the stairs are structurally sound, there should be no problems attaching the rail to the stair treads. Older homes may have curved staircases but stair lifts are available for curved as well as straight stairs. Stair lifts can be designed to fit the specifications of individual homes and can maneuver through 90- and 180-degree turns. Don’t assume an older home cannot embrace newer technology and convenience. It’s great to know that stair lifts can allow you to stay in the home you’ve enjoyed for decades. Indy Stair Lifts range in style, size and ability to perfectly match your needs and your home. They range in size, ability and style with distinct safety features. If you live in an older home with a curved staircase, The Indy Curve model installs comfortably in your home and provides a safe ride around every bend. It fits the exact specifications of your stairway to reach around every corner of your staircase. It supports up to 400 lbs. and comes with a variety of optional features, from seven upholstery choices to larger seats, footrests, power swivel seats and folding footrests. The Indy Lux and Pinnacle models are ideal for straight staircases in older homes and come with a number of safety features, including safety sensors that stop the lift when it meets an obstruction. If you live in an older home and would benefit from a stair lift, call Indy Stair Lifts today at 888-203-5754 for more information. 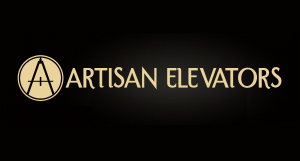 We have offices around the country and talented professionals who can examine your home to determine the best stair lift and trained technicians who can install the stair lift in your home so you can use it safely.